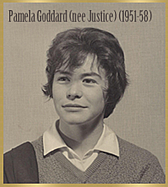 Pamela Janet Goddard was born on May 22, 1939. She passed away peacefully December 19, 2014 at her home in Calgary after a long and courageous battle with cancer. Her beloved husband, David, sons Andrew and Paul and her daughter Tracy were at her side to comfort her. She is also survived by her brother, John. Pamela was predeceased by her parents, Edith and Edward, her brother Ron, her sister Peggy and her nephew, Peter. Pam was born and raised in Wolverhampton, England. She attended the Wolverhampton Girls High School, rising to the rank of Head Girl. 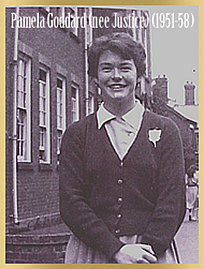 She was accomplished in the sport of field hockey and played for the Tettenhall Ladies Club, Staffordshire County and the Midland Reserves. Pam captained the University of London Team and was awarded her full purple in short order. Upon graduation with a BSc (Hons), Pam taught at the Wednesfield Grammar School before accepting a position as a literature research scientist at a pharmaceutical company. Pam became the devoted mother of her three children after moving to Pincher Creek with her husband who practiced medicine there. Many happy years passed and under her gentle guidance, they all grew up to become fine young adults. In 1978 the family moved to Calgary, where Pam pursued her interest in creative writing, culminating in a diploma at Mount Royal College. She was an avid reader, cryptic crossword solver and a member of MENSA. Later on, she was blessed with the arrival of four beautiful grandchildren, Kylie, Sophia, Joshua and Michael to whom she was always their loving Nana. Pam was never happier than when she was given the task of babysitting, which she relished. Truly wonderful times were had and memories made both at home and on holidays to Disneyland, Fairmont Hot Springs and at the cottage on Salt Spring Island. David and Pam were able to spend time traveling to various places in the world as well as many weekends hiking in the mountains. They celebrated 50 years of happy marriage with the whole family in 2012. Pam was a beautiful, gentle, unassuming, kind and self-sacrificing wife, mother and grandmother. She will be loved and remembered in our hearts and minds forever.